Schaeffler, one of Bearing Service’s top manufacturers, has been named the second most innovative company in Germany for the second year. Having filed more than 2,300 patent registrations in 2015, Schaeffler’s position as one of the top innovators in the industry has, once again, been confirmed by Germany’s Patent and Trademark Office. Schaeffler was incorporated in 1967 and, with the help of five manufacturing plants in South Carolina, produces INA, Barden and FAG bearing products. 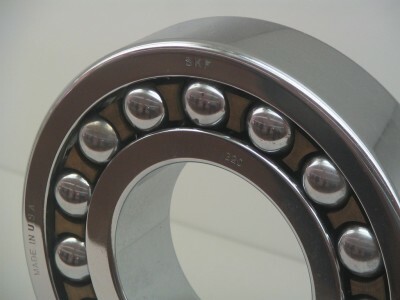 The company’s products include needle bearings, combination bearings, precision ground bearings, linear bearings, profile rails, ball bearings, modules and a range of other products utilized in industrial and automotive applications. At Bearing Service, we are proud to work with companies that are dedicated to innovating within the industry. Knowing that our customers demand the highest quality, most efficient solutions to their issues, we are confident that Schaeffler – and the other manufacturers that we work with – will continue to drive the industry forward and, ultimately, allow us to better serve our customers. If you’ve been searching for a reliable partner that will work tirelessly to deliver the products and solutions that you need, contact us today to discuss how Bearing Service can help.